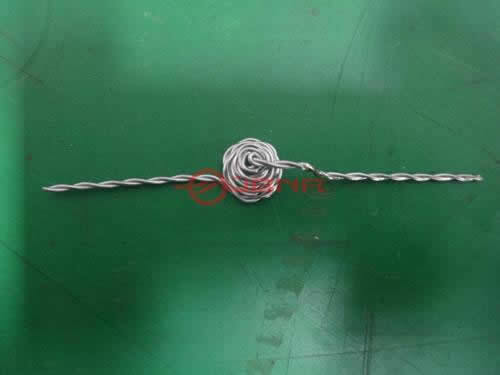 Tungsten filament, also called tungsten evaporation coil, is of many metal shapes and generally consists of one or several streams of doped tungsten wires. Multi-strand filaments are generally preferred because they offer a greater surface area than single-wire filaments. We can offer thousands of filament designs with respect to parameters such as basic coil type (single coil or several coils), bulb shape, gas fill, service life and lumen output. Adopting special heat treatment technology, tungsten filament features high melting point, high corrosion resistance, good stability and long service life. Thus it is undoubtedly the key component of the incandescent lamp business. The tungsten filament of a vacuum incandescent lamp is heated to temperatures where visible light is emitted by resistance heating. When that power level is sufficient to raise the temperature to above 1000 degrees Kelvin, visible light is produced. Tungsten filament is usually applied in fields as thin film technology, metal evaporation, mirror processing, and picture tube industry. It is also used in lighting industry like incandescent & halogen lights and standardized lamp coils for fluorescent lights. 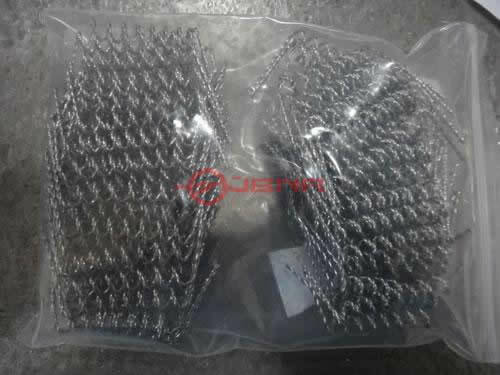 Due to its simplicity and low cost, wire sources are also used to evaporate metals such as Al, Ni, Fe, or Pt which are known to alloy with tungsten. Tungsten filament is packed in plywood case and sent by ocean or air. Established in 2008, Zhuzhou Jiabang Refractory Metal Co., Ltd. is a professional manufacturer and supplier of tungsten, molybdenum, and tantalum and niobium products in China. Our company gains ISO9001-2008 international quality administrative system certification and products like tungsten filament (tungsten evaporation coil) are mainly sold to United States, South Korea, Russia, Japan, Germany, France, Brazil, Ukraine, Italy and other international markets.